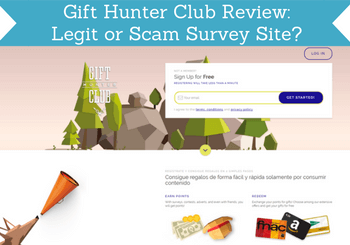 Gift Hunter Club Review: Legit or Scam Survey Site? Have you heard about Gift Hunter Club and want to know if it is a legit survey site worth joining or a scam site to stay away from? It is always good to look into this before joining any survey or get-paid-to site, as there unfortunately are many sites that are a waste of time. I have tested the site thoroughly myself, and in this Gift Hunter Club review, you will get all the details about what the site has to offer, so you can see for yourself, if it is a legit survey site worth joining, or if you should rather spend your time on other sites. What is Gift Hunter Club and what does the site offer? Gift Hunter Club is a GPT site (get-paid-to) website owned by the company Innovative Hall media. You can take paid surveys, and this is one of the best ways to earn at Gift Hunter Club. The site does not as such have its own surveys, but gives you access to a lot of third parties surveys. This means that you will take the surveys through one of Gift Hunter Club’s partners’ site, but you will get the reward paid into your Gift Hunter Club account. This is a normal way to offer surveys for a survey site and can give great rewards. Just be aware that some of these third party surveys might also be offered at other survey site but for a higher reward. An example of this is the Speak Up Surveys. But overall the rewards for surveys in relation to the time spent are pretty good on Gift Hunter Club. But if you are a member of several survey sites, it is always a good idea to check the rewards at each of them to make sure you get the most out of it. Gift Hunter Club does in general have quite a lot of daily survey opportunities. Be aware that you will not qualify for all the surveys that are available. Sometimes it takes a bit of patience to find the ones you qualify for. But after a while, you will know what kind of surveys you most often qualify for, and then you can just focus on these. Exactly what kind of surveys you qualify for and how many that are available to you depends a lot on the country you live in. If you are familiar with survey sites, you will also know that many of them have an offerwall, and Gift Hunter Club also has this option. It is a place where you can earn from a long range of different online activities. It can for example be to sign up for different websites’ newsletters, free trials at websites, watch videos, download apps or games and much more. The offerwall also has quite a lof of extra surveys you can do. The offerwall on Gift Hunter Club has a pretty good selection of opportunities. Some of them are very good, and others are just a waste of time. So make sure to read the conditions before you take any offers, so you know exactly what to expect. Another way to earn on Gift Hunter Club is by doing online micro tasks. It is done through Figure Eight (previously Crowdflower), but you will get the money into your Gift Hunter Club account. There are in general a good amount of tasks available, but be aware that in the beginning you will only have access to tasks that give very small rewards. If you continue to take these tasks, you will eventually be able to qualify for higher paying tasks. Gift Hunter Club gives you the opportunity to earn a daily and a weekly bonus, if you have a certain activity. 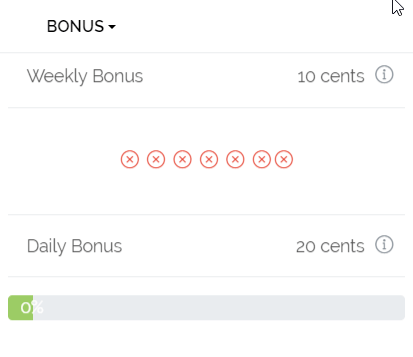 To get the daily bonus, you need to make at least $2 in a day. If you do that, you will get an extra 20 cents bonus. And you can get this bonus every day, as long as you reach the $2. The weekly bonus is very easy to get. You just have to make at least 1 cent every day in a week (from Sunday to Monday), and then you will get an extra 10 cents bonus. A very small bonus, but it is also very easy to get. Gift Hunter Clubs offers a daily and weekly bonus, if you have a certain activity. You can invite your friends to join Gift Hunter Club and get an extra reward for this. If the person you invite join, you will get 10% of whatever they earn. Not in the sense that they will lose 10%, but Gift Hunter Club will pay those percentages to you as a thanks for inviting someone else. Furthermore, you will get an extra bonus of 75 cents, when the person you have invited has earned their first dollar. This can sound very appealing, and is a nice feature to use, but just be aware that it will only give you a little extra, unless you have a huge amount of friends that are interested in joining. And sometimes it can also be a drag to have to invite other friends that might not be interested and will be annoyed instead. But it can be a great way to make a little extra, if you know you have friends that could be interested. Gift Hunter Club offers a couple of free contests you can participate in as a member. There is a task contest and a referral contest. As a member you will automatically participate in these contests. The referral contest gives an extra reward every month to the 10 people that have invited the most new members to join the platform. The reward for referring the most is around $35 and for a tenth place, you get around $1. So it can be a way to make a nice extra reward, but you have to be able to invite a lot of new members to get close to these rewards. The task contest is a way to get an extra bonus, if you are among the top 10 earners for tasks in a month. First place gets around $5 and tenth place around 10 cents. So not huge rewards, but it is a nice little extra bonus on top of what you would already have made on the tasks themselves. Every time you do an activity, you will earn cents so it is pretty easy to figure out exactly how much you earn. When you join, you will get 75 cents as a joining bonus. In general, 1 cent is of course worth one cent. However, it depends when you want to withdraw your earnings. You can request a payout, when you have earned $5. If you want to for example cash out through PayPal, you will have to spend $5.3 to get $5 into your PayPal account. But if you wait to withdraw until you have reached $10, you will get the full amount. A little bit strange, but it makes it worth considering waiting to withdraw until you have earned $10. PayPal is not the only way you can get paid. There are also other payout methods like for example gift cards and vouchers. 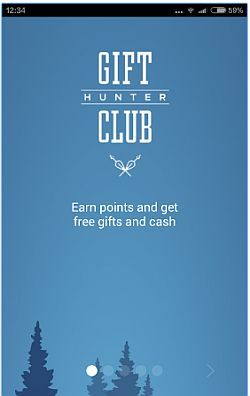 Can you use Gift Hunter Club on your mobile device? Yes, you can use your mobile to do surveys and other things from Gift Hunter Club on the go. You can do it by logging in on your mobile from the internet browser, or you can download the official app. At the moment, the app is only available for android devices. There are some offers, videos to watch, and campaigns that are only available through the app. So if you have an android and want to use Gift Hunter Club, it can be worth considering getting the app, after you have signed up for the site. Once you are logged in, there is a link to the official app. As with any other survey site, this is a very difficult question to answer. There are many aspects that come into play. First of all the country you live in, as the amount of opportunities is greatly affected by your location (read below which countries are the best for Gift Hunter Club). You can make some nice extra cash through Gift Hunter Club, but you will not be able to make a living online from it, as with any other survey site for that matter. Compared to other survey sites, Gift Hunter Club mostly gives around the same rewards for your time. In some cases you have to be a bit patient to find the surveys you qualify for, but in general it has some nice features and good opportunities to make some extra cash on the side. As all other legit paid survey sites, Gift Hunter Club is free to join and use. Who can join Gift hunter Club? Anyone that is 14 years old can join Gift Hunter Club. So no matter what country you live in, you can join. That does however not necessarily mean that there will be any opportunities. Some countries will have more opportunities than others and some might have none. The countries with the most opportunities are the US, the UK, Spain and Latin America. You will however also find opportunities in other countries. But if you live in a Spanish speaking country, you should definitely check out Gift Hunter Club. It is clear from the website and the official Facebook page, that it has a lot of opportunities for Spanish speaking people. A lot of the testimonials on the website are in Spanish, and there are even some postings on the Facebook page in Spanish. But as mentioned, there can still be good opportunities even if you do not speak Spanish. Gift Hunter Club is a pretty good site and has many advantages, as you can see above. I must however say that it is not one of the sites I use the most. It is OK, but in my experience, there are other sites that makes it easier to earn and that has better opportunities. You can see some of these sites on the top 10 list. All this does however very much depend on the country you live in, so it might be worth testing it in your specific country – especially if you live in a Spanish speaking country. How do you sign up for Gift Hunter Club? If you want to sign up for Gift Hunter Club, it only takes a few minutes. You can click the button below that will take you to the website, where you can sign up. You can then right away login and start earning by taking surveys and offers. If you have any comments, questions, or have any experiences with Gift Hunter Club yourself you would like to share, feel free to leave a comment below – I would love to hear from you. Gift Hunter Club has some good aspects like letting anyone join, it has a decent amount of opportunities and has a fairly low payout threshold. It does however sometimes take patience to find the surveys you qualify for in my experience. How many opportunities you will have can vary greatly from country to country, but it is a legit worth considering. Hi Mikael! I actually found out gift hunter club from an ad on Facebook and I was wondering whether it works and that’s how I landed on your site! After reading your review, I’d think I should give it a try although I have yet to check whether it is available for my country. I also found your review very clear and informative and really looking forward to your next articles! Thanks for your feedback. Glad you found the info useful. If you decide to give Gift Hunter a try, feel free to let me know how it goes and how many opportunities there are in your country. Would be great to know. I was not familiar with Gift Hunter Club until I read your review. I’ve tried survey sites in the past and I think you make a really good point. They’re good for earning a little extra money, but not a full time income. In my opinion, I’d rather spend that time learning how to make enough money online to be able to quit my job and retire. Thanks for sharing your thoughts Sophia. If you are aiming to make a full-time income online, I think it is great, and then you should be looking in another direction. 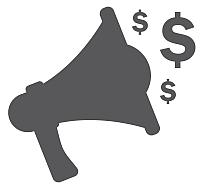 But for anyone just wanting to make some money on the side, surveys are a great way that you can started with very easily. I am not too familiar with Gift Hunter Club, but I have found other programs that seem to be similar to it. Swagbucks is probably the most popular one. I think these types of deals are OK for earning a little extra money, especially if you’re going to be doing the activities anyway, like watching videos. However, I think for most people, the amount of time you have to spend in exchange for what you are actually paid will make most people pass on them. Just my opinion. Swagbucks is definitely one of the most popular sites and also a very good choice, if you live in one of the countries where it is available. About if it is worth it or not, I really think it depends on your expectations. If you join the right survey sites, it can be a great way to make some extra money on the side, and you can do it without any training and without any investment. And it is probably the online way to make money online where that is the case. For many people that is a great option. But if you are looking for a way to make a living online, I agree that then paid surveys are not the way to go. So all depends on your intentions and expectations.